By now, the post-Napster musings of arts critics and quantitative studies of academics have well-documented the consequences of digitizing art and entertainment, giving music writers a fresh premise to initiate any new conversation about the sound world around them. One of the greatest tragedies of this bittersweet state of affairs is the loss of fidelity between deserving artists and their fans, whose rampant musical ADD is ironically encouraged by the very same bloggers and P2P gurus who purport to devote themselves to the best of the music makers. As a consumer and writer, I’m guilty of both counts, which perhaps indicates the bewitching nature of the beast. In spite of the digital milieu, David Bazan, whose new record Curse Your Branches (Barsuk) continues a 12-years-old conversation with God that started with Pedro the Lion’s Whole EP (Tooth & Nail), has maintained a devout following in-and-out of religious circles. Sure, he’s lost fans over the years, but this is largely for an opposite, deeper reason – Bazan’s loss of faith in the evangelical narrative of the Lord. For every departed fan that had heard enough tales of sexual deviance and drunken restlessness, however, Bazan has enamored scores of new listeners who are attracted to the same honesty and holy inquisition that’s kept his earliest believers hanging on. 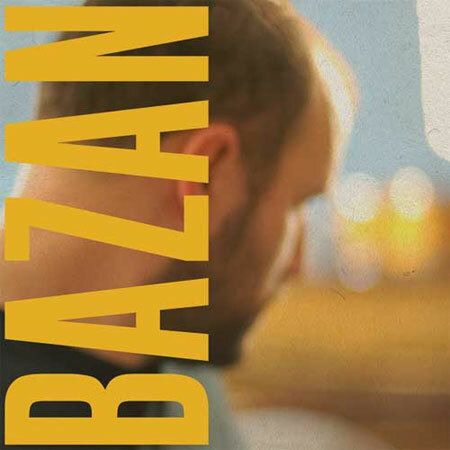 Heavy-handed lyrical disputes aside, Bazan is equally revered for his compositional and harmonic sensibilities; throughout his songwriting career, whether by synthesizer or acoustic guitar, he’s honed a sound that is unmistakably his own. It’s unfortunate that Bazan’s iconoclasm often disguises the simple fact that the man could make “Casper the Friendly Ghost” sound reverential. 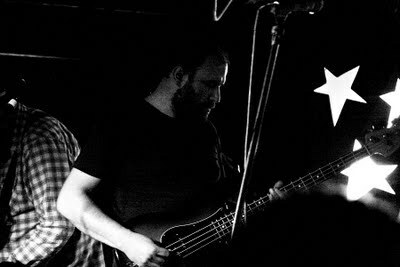 Having seen Bazan perform in various iterations six other times that I remember, walking into the Drunken Unicorn prepared to “review” the show was somewhat akin to Buzz Aldrin handing me the keys to a spaceship and wondering if I’d be happy about it. For me, whether it’s Radiohead, Bazan or more recently Deerhunter, the question wasn’t so much “if” he would be good live, but “how” would he execute that goodness throughout Curse Your Branches’ new Americana-tinged territory. Backed by Seattle stalwarts Blake Wescott (guitar, backup vocals), Casey Foubert (drums), Eric Elbogen (guitar, backup vocals) and Andy Fitts (guitar, keys and backup vocals), Bazan played a tight, harmony-drenched set that was, at times, the heaviest I’ve ever heard his deep catalog performed. Perhaps since this tour is the first Bazan’s played with a band in over four years, there’s an itch for rhythm and texture that’s been absent from his equally moving acoustic house show tours. Relaxed, confident and at times playful, Bazan and his band gracefully stomped through material from every release since Pedro the Lion’s Control album, each song garnering the sort of wheels-off-the-tracks rock charisma that I almost forgot Bazan was capable of embracing. In now-expected Bazan style, he also intermittently took time for questions and answers, though these brief moments spurred no surprises. After the very educational Curse Your Branches press onslaught, asking Bazan if he still believes in God is at best irresponsible; Bazan answered the question, “not in the way you mean,” in the most rote manner I’ve ever seen him speak. Ironic for a set that was otherwise more raucous and joyful than I’ve ever seen him play. Note: This live review originally appeared on Performer Magazine’s blog.